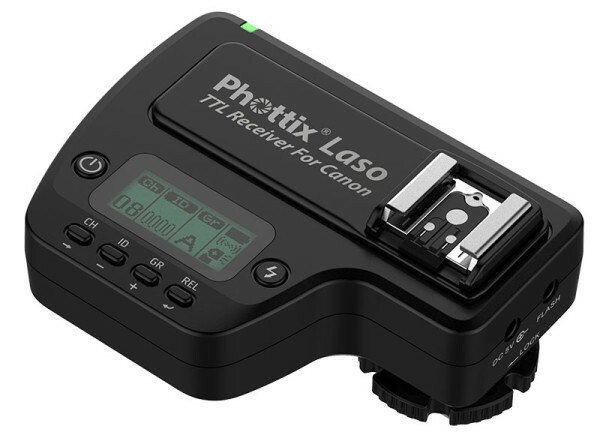 Phottix has officially unveiled the Laso TTL trigger, a 2.4GHz transmitter and hotshoe receiver compatible with Canon's RT system. Phottix has officially unveiled the Laso TTL trigger, a 2.4GHz transmitter and hotshoe receiver compatible with Canon’s RT system. 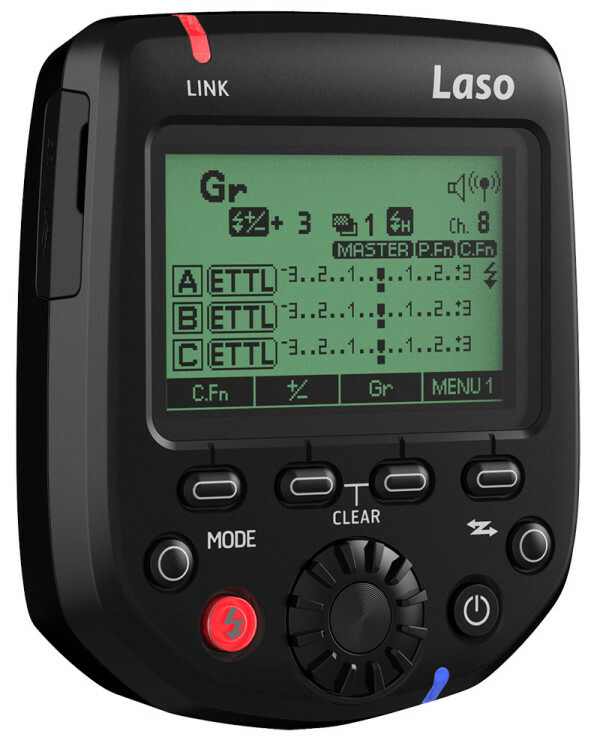 As suggested from previous leaks, the Laso Transmitter is a third-party alternative to Canon’s ST-E3-RT, a shoe-mount transmitter that can trigger and adjust your remote RT-enabled Speedlites. Other aftermarket solutions include the YN-E3-RT and SN-E3-RT from fellow Chinese manufacturers Yongnuo and Shanny. The Phottix Laso Receiver grants Canon RT functionality to an ordinary E-TTL flash, a bit like the YNE3-RX. This means you can use your existing Speedlites, such as the 580EX II or 430EX II, with the Canon RT control system without having to replace them with newer, more expensive RT flash units. The Laso is aimed at photographers who already own parts of the Canon RT system, such as the ST-E3-RT, 600EX-RT or 430EX III-RT, and want to supplement them with alternative third-party kit without losing functionality. If you aren’t already an RT user, then you have a wider range of systems from which to choose, including Phottix’s Odin system, the Yongnuo YN622C II or the Nissin Di700A Air, among others. The Phottix Laso is available now at B&H, priced $159.95 for the transmitter and $99.95 for the receiver.